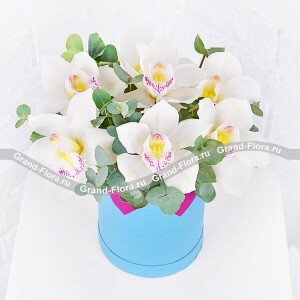 Colors never too much, and it is for this reason, online store«a Grand Flora»It never ceases to update its product range, adding to it with new and original bouquet. 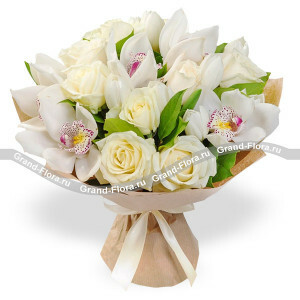 Each bouquet of flowers - a true master of creation, which is able to find an individual approach to drawing up any bouquet, so that in the end customers of our online store are our beautiful and carefully made bouquets of flowers, which can not leave anyone indifferent! 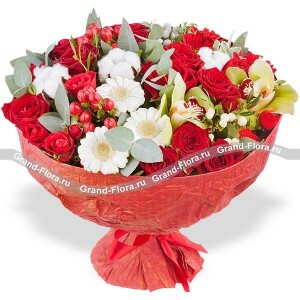 Very popular are the bouquets, which are attached sweets, and you can find in the online store catalog«Grand Flora»in a fairly wide choice. 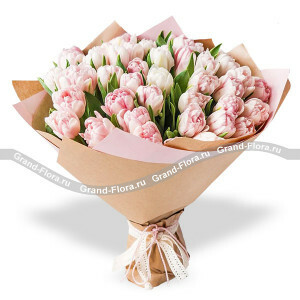 Before you buy a bunch of flowers with express delivery to your home, you can specify any information about the choice of flowers and other features of the flower shop on a single number in our reference service: 8 800 333 95 01. 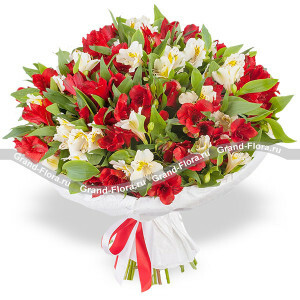 We provide round the clock delivery of a wide variety of bouquets and arrangements in the home or office - and this is our main advantage. 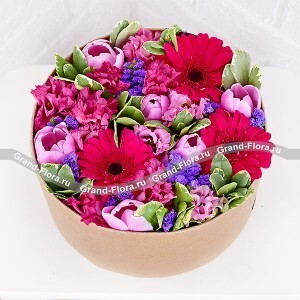 It does not matter how or when you would like to place an order at our site, we will promptly take it and deliver at any time convenient for you. 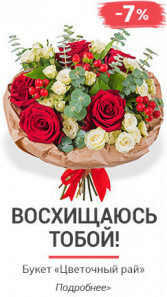 We try to do everything possible so that you can purchase from us a bouquet of flowers, simply and quickly. 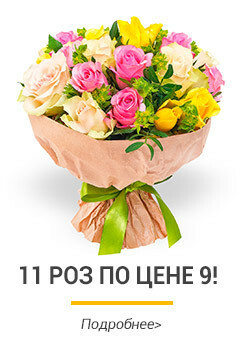 That is why we have simplified the registration of orders and added function«Buy in 1 click & raquo ;, which allows you to save time and order delivery of flowers in a few minutes. 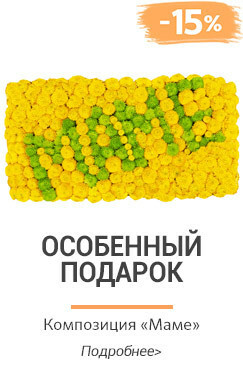 Just a lot of payment methods, such as Webmoney, Yandex Money and other e-currencies so that you can choose the most convenient. 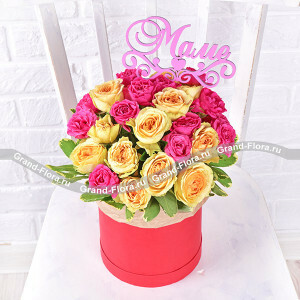 How to place an order for delivery of a bouquet of flowers? 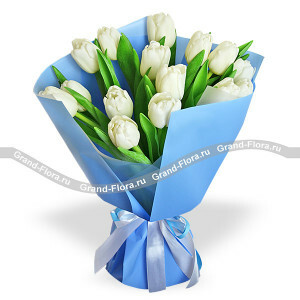 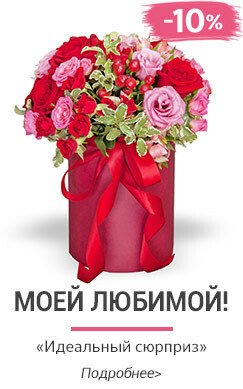 Open the folder with the novelties and proceed to the choice of the bouquet. 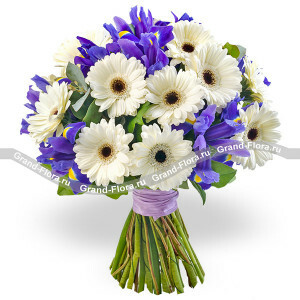 Large selection of flowers will allow you to find the model that will meet your requirements and budget. 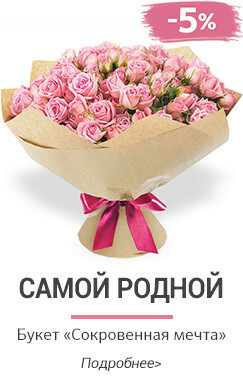 As soon as the same bunch will be found, put it in the basket. 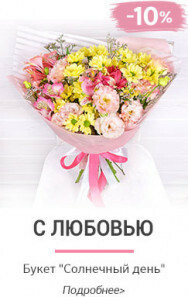 There you can add to the bouquet postcard and write any wish to the recipient in it. 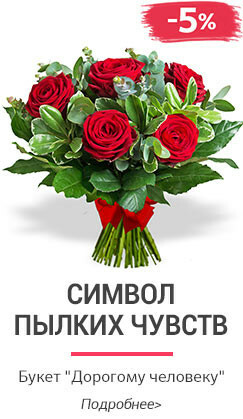 Then fill in the fields with the information that is necessary for us to carry out the express delivery to your home, and immediately after this step, proceed to the last - paid. 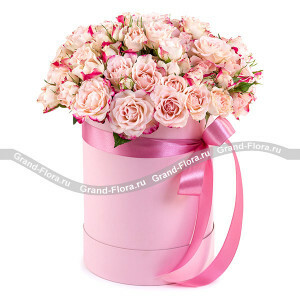 You will be asked a few options, and as soon as you complete the payment, the order can be considered successfully completed.